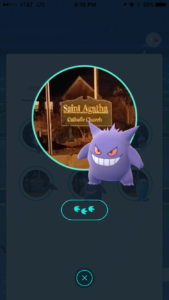 Is the Pokemon Go Halloween Event Already Over? 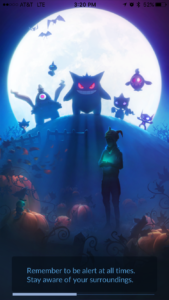 Finally, the long awaited Pokemon Go Halloween event is upon us. Many fondly remember last year’s Halloween event as it was the first time any of us got a chance at bonuses. Once again we are graced with 2x candy. 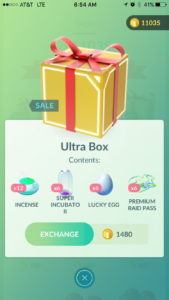 This time we also get special boxes in the shop. The most anticipated part of this event, however, is the first chance at catching Gen 3 Pokemon. There really is no more exciting aspect of the game than tracking down and collecting new Pokemon. 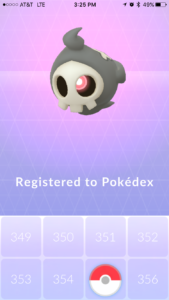 The downside to last year’s event was that by the end of the event we were all so sick of catching Cubones and Gastlys that we were glad when it ended. This year’s event threatens a similar ending and we could potentially reach that point much, much sooner. I’m currently traveling and staying in a spot where there are zero wild Pokemon spawns. Despite that obstacle I was able to catch enough Gen 3 Pokemon to effectively complete my Gen 3 Pokedex within a matter of hours, casually playing while being driven from one destination to another. 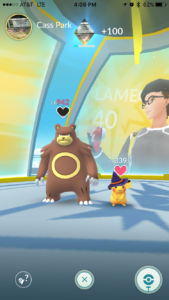 I also caught two of the witch hat Pikachu. So what does that leave for the rest of the event? I can grind candies for XP which is always nice, but with no available Pokemon needed for my Pokedex there’s not a ton of incentive to play all that much. Last year I remember swapping my buddy Pokemon to evolve some of my last Gen 1 Pokemon needed: Omastar, Kabutops, Dragonite, Machamp. This year I guess I can focus on getting candies for my seventh Tyranitar or fourth Dragonite. The bonus boxes are okay but the items aren’t really needed. Super Incubators: what incentive is there to hatch eggs right now? Raid Passes: it’s difficult to find a group to raid with these days and I’m not going to raid when I’m out of town for fear of getting an EX pass after I return home. Incense: please. Pinap Berries: I have about 150 already. A lot of the problems with this event — and all events — could be solved with one thing: quests. Give us quests to do in the regular game, and special quests with good bonuses for events. This is not much more than last year’s Halloween event and last year the game was completely different. 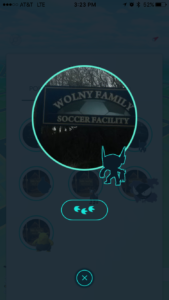 Give us an incentive to battle gyms, do raids, hatch eggs, besides the double candy. 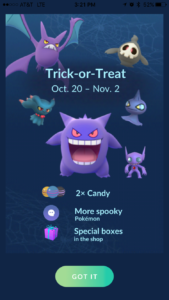 They’re even missing an obvious reward for quests or anything during the Halloween event: rare candy. This would be the perfect opportunity to dish out some rare candy, something that has been very hard to come by after they reworked raid rewards. Overall Pokemon Go events are always fun, always a reason to get playing a bit more and have fun. Releasing all of Gen 3 with the double candies may not have been a good idea for this event but I doubt that dribbling them out like this is going to get anywhere near the traffic as last year.